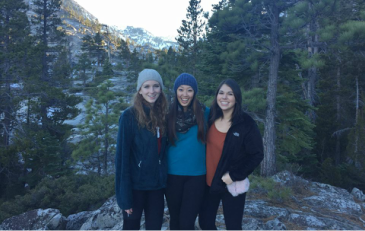 KGD can provide support in all aspects of your college experience. 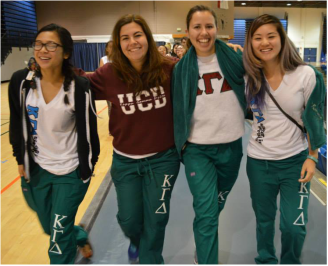 Whether you need help in a certain class, need a friend to confide in, or want to feel like you are a part of something bigger by doing volunteer work, members of KGD all do our best to make our experience at UC Davis one to remember. ​College is tough! It's not a mystery that students of all majors experience stress and more stress. However, the sisters of Kappa Gamma Delta are here for you! We've all been through the same arduous lower division general chemistry, biology, and physics courses, the dreaded year-long organic chemistry (although, yes, as a disclaimer, we must add that certain people do enjoy that course), as well as those other prerequisites we must complete in order to even apply to medical school (or nursing school, vet school, pharm school, physical therapy school, dental school, optometry school, PA school - the list goes on)! Let us help you help yourself. Seek advice from our more senior members and our graduated alumnae! On another note, yes, reaching our goals is a tough process. At times, things may even feel impossible. There's confusion, doubt, and perhaps, even desperation during certain moments in our college pre-health careers. However, we will always be here to lend you our unconditional support. Our sincere hope to all of our members is that they grow and mature into individuals who realize what truly makes them happy, regardless of what careers they may lead in the future. ​Our members continue to remain dedicated to serving the community. Each year, we volunteer at a number of public events including, but not limited to: Turkey Trot, Relay for Life, Davis Stampede, Davis Community Meals, Blood Drive, among many other charity events. 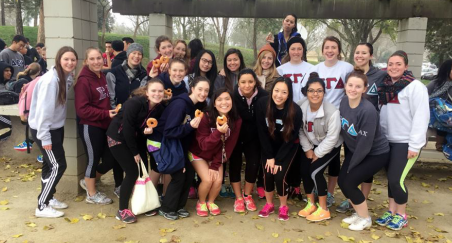 Many of our sisters are also involved in their own volunteer work at hospitals and clinics in and around the Davis/Sacramento area. ​In all seriousness, we understand the importance of having a healthy social life. Why? Because we don't learn about people in books. As aspiring healers, a strong set of social skills is important to truly understand those whom we strive to help.